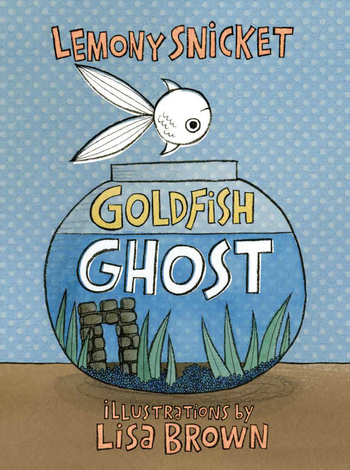 Goldfish Ghost was born on the surface of the water in the bowl on a dresser in a boy’s room. 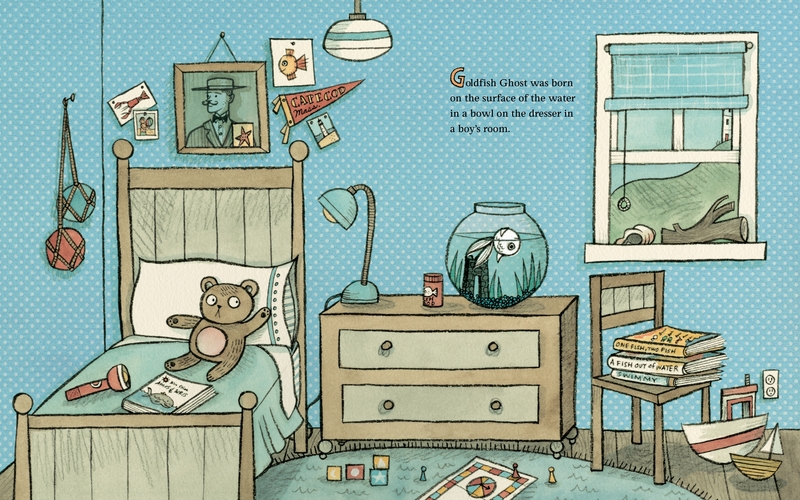 The boy’s room was pleasant and familiar, but Goldfish Ghost wanted company, so he set out to find a friend. Lemony Snicket is the author of far too many books for children, including The Dark, which won the Charlotte Zolotow Award, and 13 Words, which didn’t. Despite his best efforts, his series All The Wrong Questions and A Series of Unfortunate Events have allegedly sold more than 70 million copies and been translated into thirty-nine languages. 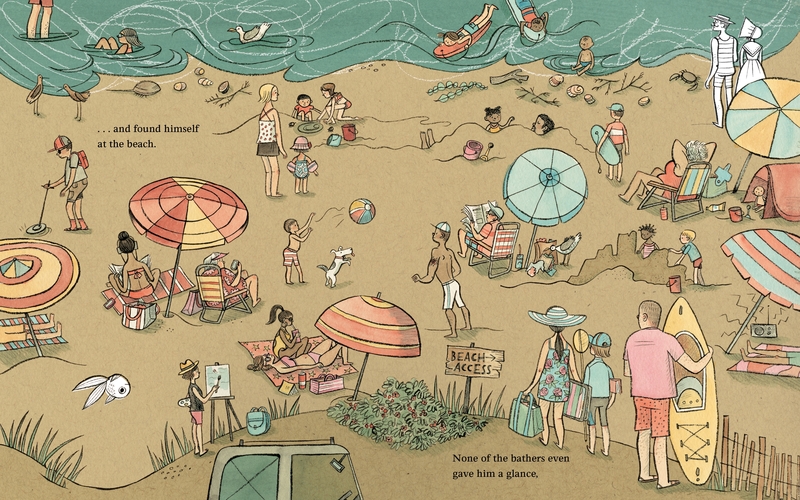 Lisa Brown is the New York Times--bestselling author/illustrator of a number of books for young readers. 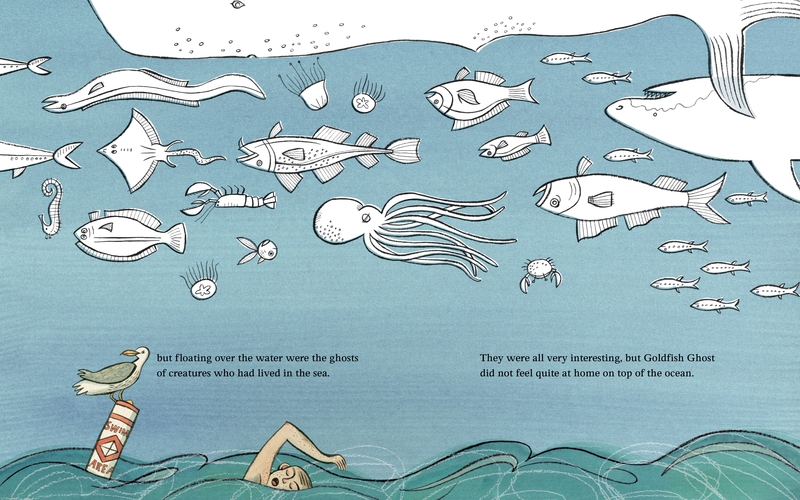 Recently, she illustrated the critically acclaimed Emily's Blue Period and The Airport Book for Roaring Brook Press. 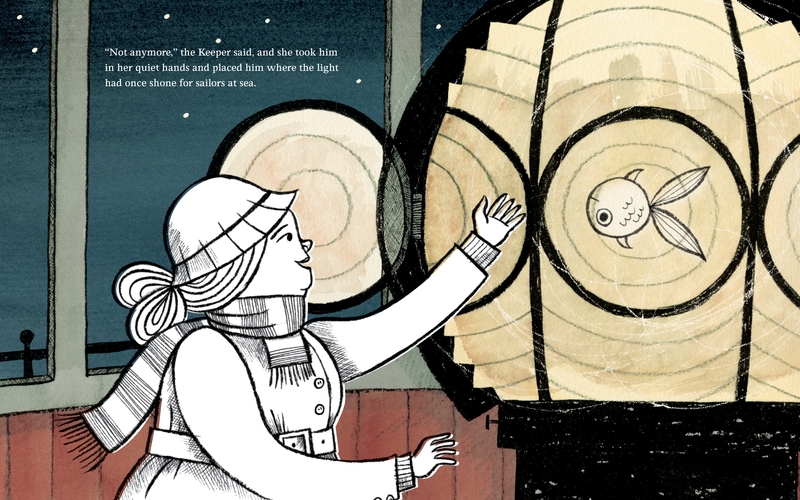 She lives in San Francisco with her husband, Daniel Handler, and their son. 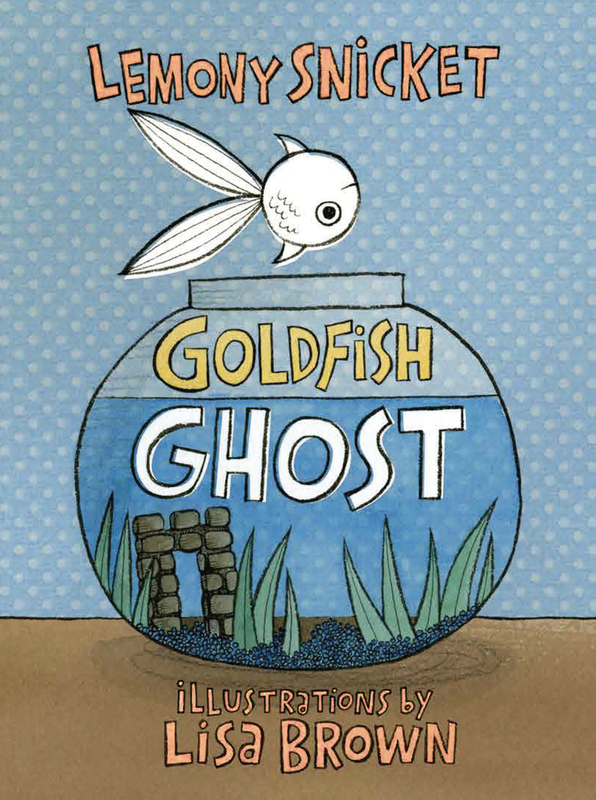 Goldfish Ghost is Lisa's second book for Roaring Brook Press.